On Feb. 21, 40 high school students from New York City and neighboring public schools made their way to Viacom’s Times Square headquarters to celebrate Black History Month with a screening of Paramount’s critically acclaimed Selma, a crucial film about the African-American experience. Viacommunity hosted the event, which featured members of The BEAT, Viacom’s employee resource group focused on the African-American experience, on a post-screening panel. To coordinate this celebration in honor of Black History Month, Viacom worked with nonprofit organizations The Opportunity Network and Sports and Arts in Schools Foundation (SASF), which provide academic support to students from underserved communities. Selma depicts Martin Luther King, Jr.’s fight for equal voting rights during the Civil Rights Movement, a momentous part of American history. Paramount’s re-telling of this visceral moment encapsulates the spirit of Black History Month. 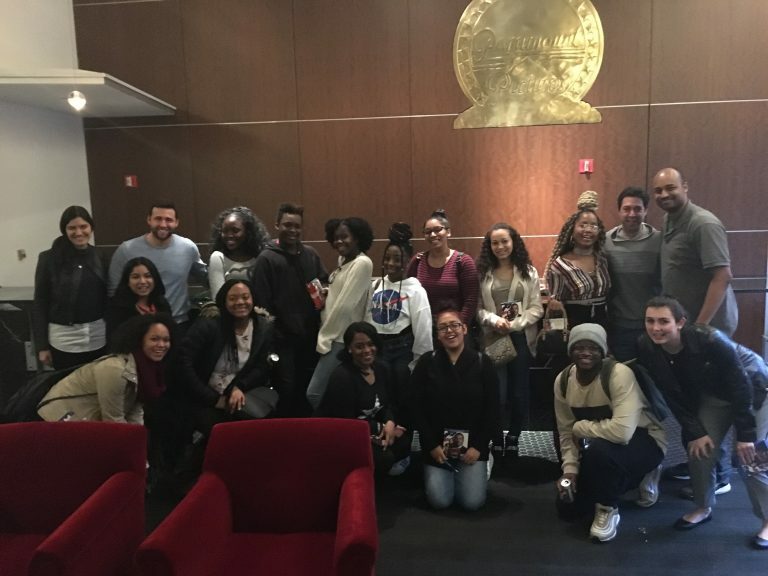 Viacom employees and BEAT members Gerald Yarborough and Destiney Bishop led a post-screening discussion, encouraging students to advocate for equality and strive for greatness. The students discussed the film, and shared incredible insight on the racial inequality portrayed in the movie and how inequality persists today in different forms. The students applied their own knowledge and awareness of current events, comparing and contrasting to the time of Selma. Students immersed themselves in a conversation which covered African-American achievement and contributions to American culture since the Civil Rights movement, systemic political and social issues, and the critical role that media plays in shaping public opinion on race and equality. According to these students, the media has the power to “make something real.” It informs the public about what’s occurring in society, things that might otherwise not be acknowledged. Students noted the duality of media: it has the power to inform people of injustices occurring in the community, and share news in a way that can normalize internalized racism, or bring light to racial injustice. “It was truly powerful to see how engaged our students were in the post-film discussion,” said SASF associate Esthefania Rodriguez, who was a chaperone at the screening. The open forum allowed students to share their thoughts and opinions in a judgement-free environment. Then, they were encouraged to take action. The BEAT members explained how students can make a difference—encouraging them to register to vote when they are of age, advocate for causes they believe in, and get involved in the simplest way possible — using social media responsibly to engage in political discourse. “Opportunities like these give students that edge they need to succeed,” said Rodriguez. The students and chaperones left with a physical takeaway, along with the knowledge of empowerment. The BEAT gave each guest a DVD of Selma, in the hopes that they would share the film and their experience with friends and family.